$10 gold with moon and star. 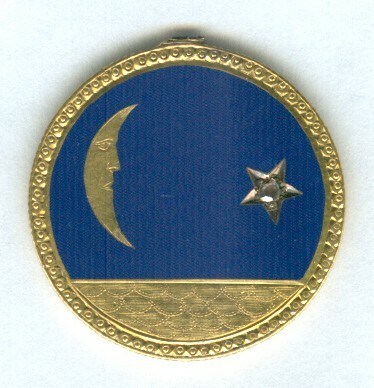 Engraved, enamel, and jewel. 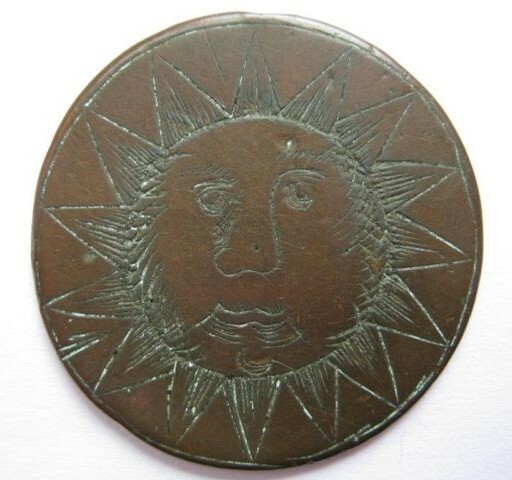 Early English copper half penny. 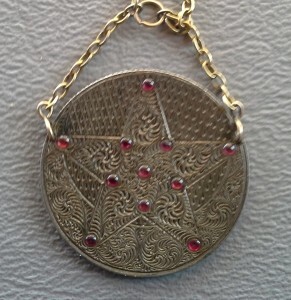 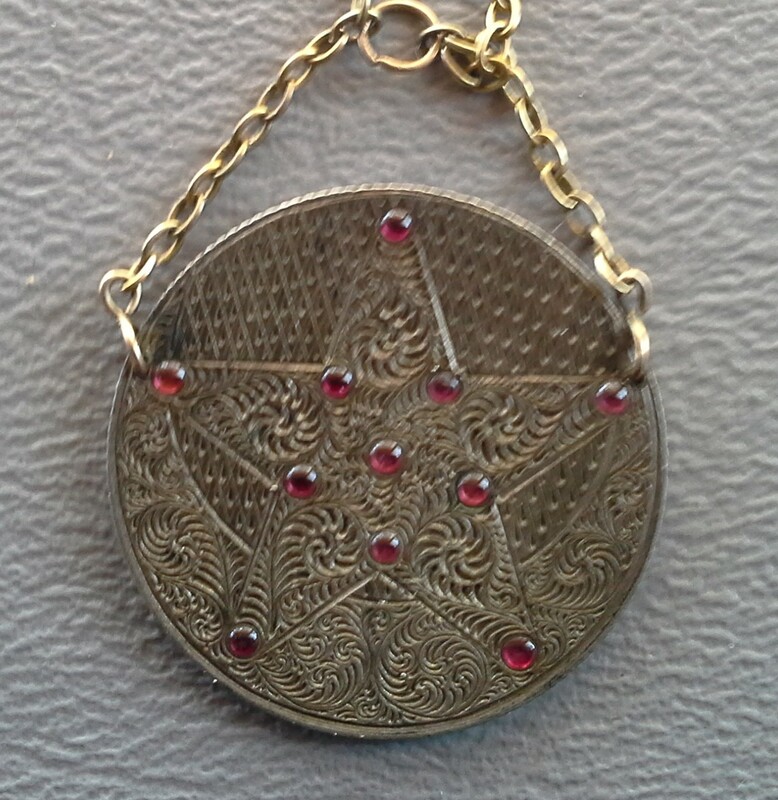 Engraved star with rubies.